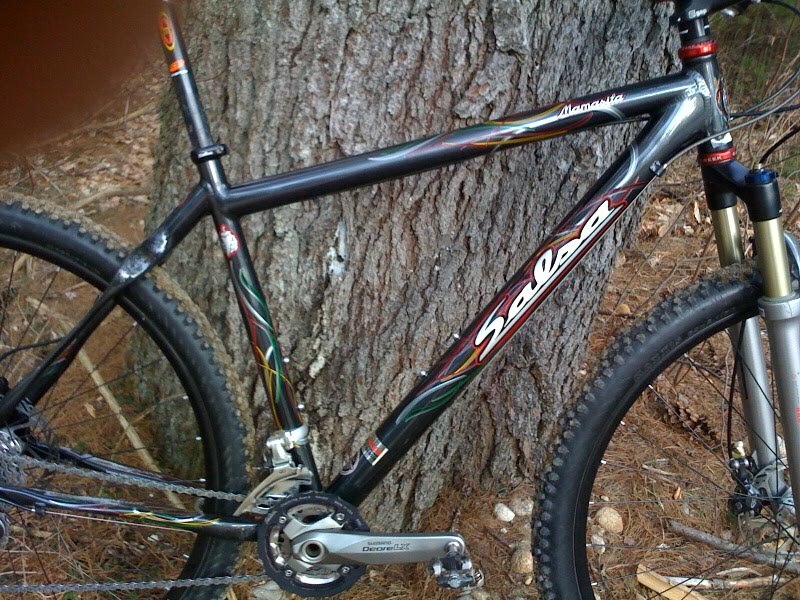 Last night was only my third ride at Bear Brook on my Salsa Mamasita. A quick-handling 29er is where it’s at ladies and gentlemen. I can’t begin to explain the sense of supreme confidence instilled by a set of wheels that, on paper, really shouldn’t impart that much of a difference over traditional hoops. The sense of roaring along the road with markedly less effort. The simple fact that every climb seems to take less time as you incrementally cover more ground. And the lines. If your chosen line is interrupted, there is usually little consequence. Momentum. Probably the 29’s greatest asset. Several times last night I would stray off line through some technical section of trail, only to say “aw…..f*ck it”, take a little off the front wheel, and just power through whatever was now in my way. Line it up, let it go, and we’ll make it, one way or another. What’s to get used to? Well at slow speed up a steep section, you’ve got a bigger wheel to cut back and forth when the going gets dicey. You adapt to it, because your whole life you’ve been riding what now feel like tiny kiddie wheels. And you welcome the adaptation, because you get so much back in return that it’s almost ridiculous and unfair to your 559mm-clad compatriots. Hopefully we get up to the Kingdom Trails before the snow flies. I can’t wait to see what this thing can do up there.